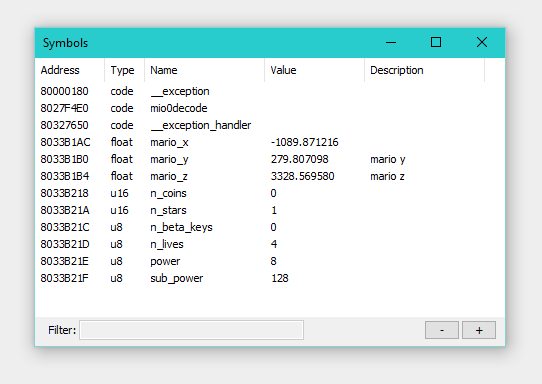 The symbol manager can keep track of discovered functions and monitor variables in real time. 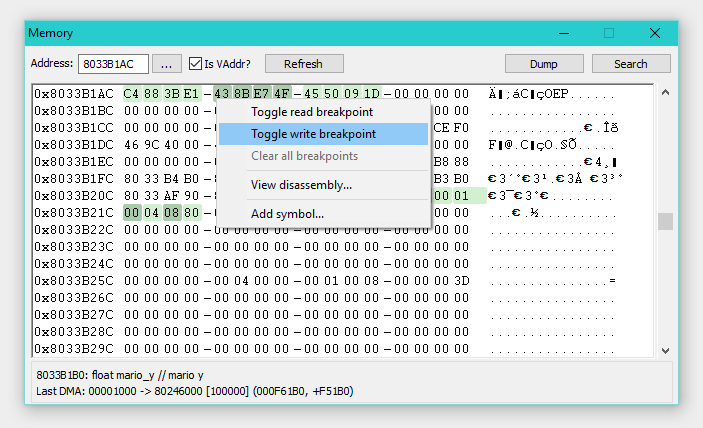 Symbols are saved to a file in the Save directory, so you won't lose them at the end of your debugging session. 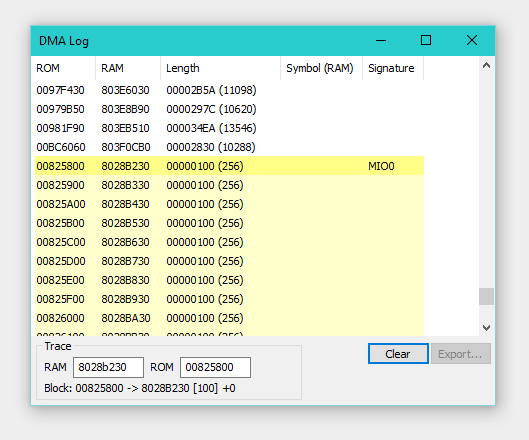 The DMA log can be used to quickly trace data back to ROM. 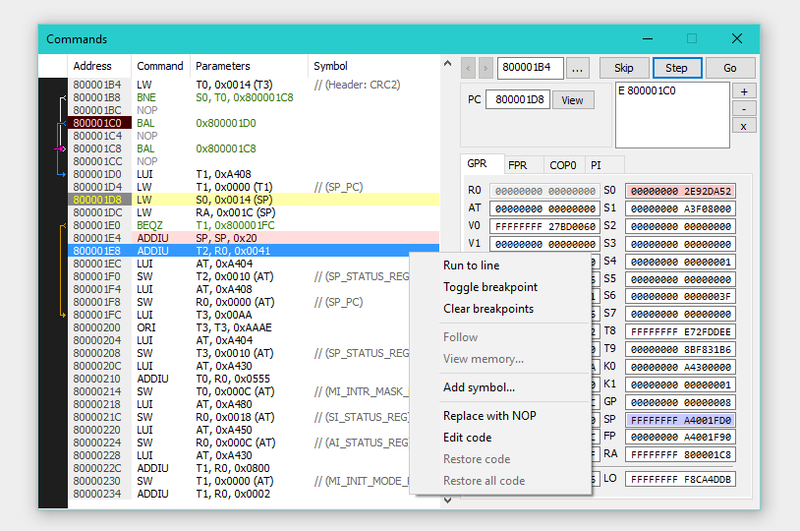 The updated memory editor incorporates DMA log and symbol information, and can be used to place read and write breakpoints. In settings, Pause emulation when window is not active and Hide advanced settings should be unchecked. In advanced settings, Always use interpreter core and Enable debugger should be checked. Feel free to post them in the support thread! arrays & sizes for symbols, structs too? use thread pools? use libuv/dukluv?